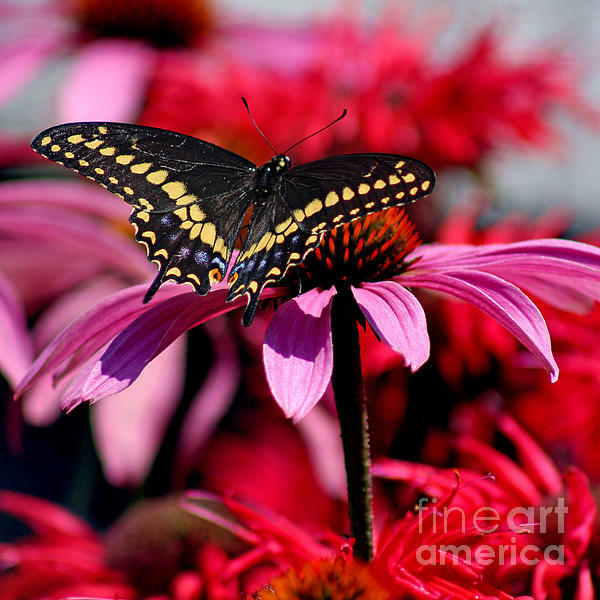 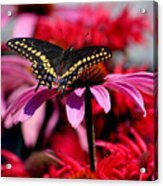 The vibrant sunny reds and pinks of Coneflowers and Bee Balm attract a beautiful male Black Swallowtail butterfly. He is a really lovely specimen, showing all the lovely pattern of yellow and blue markings common to the Swallowtail family. 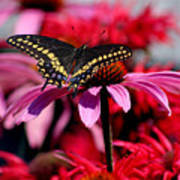 This version of another image has been cropped to be a square format. Square format gives a modern contemporary feel and fits in many spots in the home or office.